Before we begin let’s just agree on one thing. There are no quick answers to how to find your dream career. Finding your dream career is a process. How lengthy this process is depends on how sincere you are with yourself. It also depends on how much you are willing to sacrifice in pursuit of your dream career. I have spent many hours counseling many career newbies on this very topic. On occasions, with some of my more senior staff also. I have personally gone through this process and here is my experience I would like to share with you. I admit I dislike engaging in this discussion with people who come to me with this question (who by the way, expect an easy answer). They expect a “3 Steps Guide to How To Find Your Dream Career”. Since there are none, at the end of the discussion, they get disappointed. The toughest part about finding your dream career isn’t about finding the dream career. It is about finding yourself. Do you know what you want? This is the first question you need to ask yourself. It is a seemingly easy question many answer by mentioning what they DON’T WANT instead of what they WANT. But that is not the answer that will ensure you find your dream job. Knowing what you don’t want does not mean you easily arrive at what you want. Unfortunately, the process of elimination does not work in finding your dream career. You can go through a thousand “don’t wants” and still not hit it. How to find your dream career? Start by knowing what you want! If you feel a little lost with finding what you want, start by knowing your values. Ask yourself, what do you really value? Time? That’s a common answer I get and a good one too. We all want more time for ourselves and family. So, if you value time then you know the dream career you are looking for must offer more time. Is that all? List a set of values you treasure because you have defined what it is that will fit in these criteria. Then things will begin to fall in place. Do you have the knowledge and skill set that fit the needs of your dream career? If you do not, how much are you willing to sacrifice in order to add those skill set in your repertoire? Would you be willing to educate yourself more? How to find your dream career is easy. How much you are willing to sacrifice in order to achieve it is tough to answer. The trigger to how to find your dream career should never be only about money. It should not be because you are currently unhappy with your salary and hence you want a dream career that pays you an enormous amount of money. Money should never be the motivation. Make passion a motivation but never money. From my college days, I have always wanted to be in the advertising industry. That for me was a dream career. But back in the heydays of the dotcom era I was headhunted to join a B2B dotcom firm. They were willing to pay me double of what I was getting (yes, I was unhappy with my salary at that time). So I took up the offer immediately. Guess what? I quit within 3 days and due to contractual obligation, I had to serve a full month! That full month was a torture. It wasn’t what I was looking for at all. If you know what you want, what you value and you do it for the right reasons – then this is the easy part. Here are your “3 Steps Guide on How to Find Your Dream Career” so to speak. Find out about the industry. Do you have friends in the industry? Find out what are the expectations, the knowledge and skills needed. The Internet is also the perfect place to start. You can read books focused on your dream career or check out sites offering career advice on certain industries. Get to know people in the industry so you get a feel of what it is like upfront. This also sets you up for potential short-term work when the opportunity arises for some hands on experience before you make that leap. I have personally allowed friends based on recommendations to visit us after office hours. This allows them to see what it is like in our industry and to speak in depth with staff from various departments in order to understand our line. Now that you know how to find your dream career, create a plan to achieve it. How do you plan to add new skill sets? How do you plan to apply for the job? When would be able to get practical training, if that’s a requirement? Develop a plan and act upon it! Job-hopping is a contentious issue for some. Does it affect your career success? What is career success to you? How do you define career success? See if this helps you get your answer. Achieve Career Success with 5Ds? Learn how to achieve career success with 5Ds. Here is a list of questions you can try to answer to help guide you towards the answer to what is my dream job. A guide to the really small steps in your career planning that will determine how far and how fast you can achieve career success. 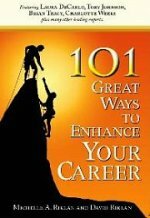 Approaching career success the Zen way and how to find your dream career - a new career success tip for you. As a newbie pursuing career success, you need to realize early that the working world is very different from college. The way you approach work and your attitude towards work can determine how far you go in your career. These tips would help you get a head start in your first job. What are the good career advice you can follow as you prepare yourself for the job world? Here's my top 6 advice. This is Part 1 to 7 insights to career planning success. This is Part 2 to 7 insights to career planning success. You are your own best career success planner. Learn to find the career success planner in you. There are no quick answers to how to find your dream career. Finding your dream career is a process. Here are some tips on how to pursue your dream career.